Backed by the assistance of our highly experienced professionals, we have been able to bring forward a qualitative Distribution Line Installation Service. We render this service in a perfect way making use of high-grade tools and advanced techniques. We are PGVCL, Gujarat certified contractor for LT-HT Distribution Line Work. 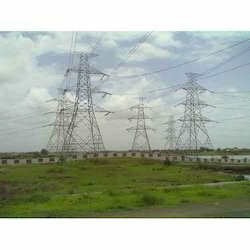 We are outsousing man power for transmission line in India and Abroad.Manpower Outsourcing Transmission line work. Due to our proficiency of this industry, our firm is betrothed in rendering LT Overhead Lines Installation Service. These services are accomplished by industry capable professionals, who have affluent understanding of this realm. Furthermore, we render this service at nominal prices. Our range of overhead HT/ LT transmission lines can be installed & commissioned by our expert team of engineers and technicians. This range includes poles, cables and a.c.s.r conductors. The team of diligent professionals undertakes Overhead HT and LT Transmission Lines Installation services. These services are demanded for conductors, poles, insulators, cables, ACB and hardware fittings. Our services are executed under the supervision of our experienced engineers, as per the industry standards and norms. We are engaged in providing LT Transmission Lines Installation services to our clients at industry leading prices. Our experts use best quality precision engineered products to offer reliable services. Despite of the huge challenges faced in these kinds of services, we have been an enthusiastic name of the industry providing with Low Tension Line Installation service to our customer support. The presented service is subjected to all kinds of standards, rules and regulations being described at the national and the state level so as to ensure the convenience of our customers. 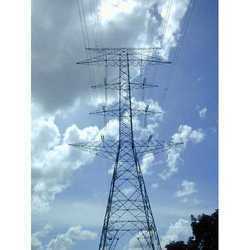 Our organization have the capacity to supply, install, test & commission of overhead HT/ LT transmission lines. These includes poles, conductor/ cables, insulators, hardware fittings and ACB. Our range of overhead HT/ LT transmission lines can be install, test, commission by our expert team of engineers and technicians. These range includes poles, cables etc and are cost effective.